There’s nothing wrong with wanting or having babies. I mean, it’s not an urge I have ever understood, personally. But I do understand that it’s a big deal for a lot of people. However, for there to be not one woman in this book to decide that in the end she is really happier without babies, or for there not to be any woman who says actually having babies is a mixed bag (without immediately blissing out about how it’s always worth it all the damn time because they love their baby so much) just requires too much suspension of my disbelief. I’ve hated my PUPPIES in the middle of the night when they wouldn’t let me sleep, never mind a kid! The men in this book are basically all generic good-guy husbands / boyfriends. They seemed pretty much interchangeable to me. This book is solidly embedded in a white, privileged, able-bodied, heteronormative, ciscentric, classist, and patriarchal worldview, right down to the entitlement and condescension of some of the men, and the utter lack of awareness thereof on the part of the women involved with them. The supporting characters were mostly stereotypes (the Beautiful Blonde, the Drawling Southerner, and so forth). The dialogue was awkward in that it was too “therapy-esque” all the time, with the characters examining their motivations and drives and articulating them in a way that almost seems like they’re all in a joint therapy or mediation session. The dialogue “tells” too much instead of letting the story show the character development. There was also a weird theme about ladybugs…? It never really developed into anything and it seemed out of place. The only thing I really appreciated about this book was its insistence that women’s friendships are important, valuable, and sustaining. The existing and developing connections between the female characters was lovely, and this theme is (for me) the redeeming quality of this book. 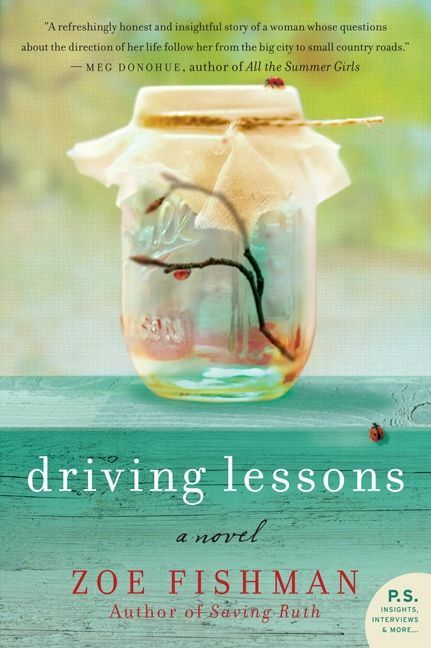 Also, the theme / metaphor of the driving lessons was effective. And the way in which the driving lessons ended up helping the protagonist find a new career path was underplayed but very nicely done. It is portrayed as work she’ll probably love, so it’s too bad its value was framed more as being work she could do even when she becomes a mother. If you aren’t bothered by lack of diversity and you’ve got a few hours at the beach to kill, this is an easy read with some nice friendships between women. Don’t expect any drama, depth, or character / plot development, though; this book, like its protagonist, is shallow, simple, and bland. This entry was posted in Biased Opinions, Everything, Reading Books and tagged babies, book review, books, children, fiction, friendship, women writers on 02/05/2018 by nissetje. This story is told in alternating chapters from the perspectives of Jenny, an eleven-year-old girl, and Emma, her seventh mother. Jenny and her dad live a nomadic kind of life as her dad takes seasonal work around the USA. Along with the seasonal work, Jenny’s dad picks up seasonal girlfriends, and although Jenny had grown attached to most of them, she also knows that none of them will stay for long. But Emma, Jenny hopes, is different. All three of these characters are white, and the treatment of race in this book is handled in a way that is weirdly gentle and unflinching at the same time. This didn’t take up much space in the book but was probably my favourite thread. Jenny’s dad, Brannon, is a loving and devoted father but he has an angry streak that he shows to others. Emma falls for him and excuses his angry moments (initially they are only moments, of course), forgiving him and explaining it away as proof of his love. Classic red flag stuff and the kind of thing that would have me running for the hills. As the story progresses, Jenny wants to settle down and go to school, to have a “normal” life with her dad and Emma. Emma wants a “normal” life as well, a husband and children and a house. But Brannon isn’t a Happy Family kind of guy, as Jenny finds out when she stumbles across the real reason why the past mothers / girlfriends who were in her and Brannon’s life are now gone. 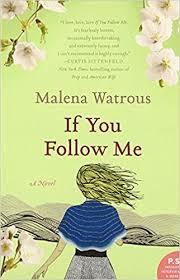 Books about dysfunctional families fascinate me, and yet I approach them with trepidation. With this one, I got nervous as soon as I saw Brannon’s temper, and I put the book down for a while because I wasn’t sure I could read about domestic violence. But one thing I really loved about the book was that Jenny’s perceptions and feelings were almost always validated by the people around her. Her dad loved and protected her, her “mothers” were nice to her, Emma loved her, and the parents of her best friend also listened to her and believed her. That part seems to be a bit fairy-tale-ish to me, since it’s not the way I think most young girls are treated in the world, but I did enjoy the fantasy. Overall, it would have been a fast read if I hadn’t put it down twice for days, once when Brannon started getting mean, and once when people started ascribing events to a god. Jenny is a very sympathetic character, and Emma would be if she wasn’t so naive about Brannon. No, that’s not exactly it: I liked the character of Emma but I felt the path her life was taking was just too predictable from the reader’s perspective. It makes me kind of sad when a book full of characters doesn’t have GLBTQ* people, or people with disabilities (in this case, one person used a cane, but that was obviously because of her age, which we know because of references to “the old lady”), or characters with some awareness of their class position, and so forth. I guess it’s always a bit disappointing when the characters in a story all seem to strive for a “normal” life, which to them and to the author means the status quo. There are ways to write characters like that while the book itself interrupts that idea of normality, but this book isn’t one of them. It was a decent book that will now go into my giveaway pile. This entry was posted in Biased Opinions, Everything, Reading Books and tagged abuse, Barking Back, book review, childhood, fiction, women writers on 26/02/2018 by nissetje. Here’s a book I read with enjoyment and very little criticism. It follows a young American couple (Marina and Carolyn) as they move in together for the first time when they move to Japan to teach English. The culture shock and new pressures and expectations are beautifully integrated into the story. This entry was posted in Everything, Reading Books and tagged book review, books, culture shock, fiction, LGBTQ*, women writers on 23/06/2017 by nissetje. 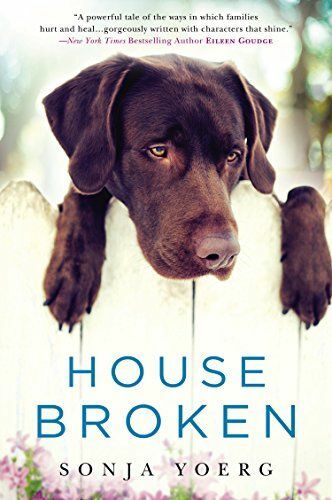 This book had a dog on the cover, alluded to dogs in the title, and has a main character who is a vet. I was sold! Also, the blurb mentioned the vet’s mother’s alcoholism, which was another draw for me. I like stories about dysfunctional families; reading them helps me make sense of my own childhood. Before I get any further, I should mention that I read this book early last summer ( or late last spring?) and just haven’t gotten around to reviewing it yet. So this will be short and vague. It was disappointing that there wasn’t more dog- and vet-related stuff in the book, and what there was, was not always particularly convincing. I’m thinking specifically of the minor plot line involving an aggressive dog, which was not very credible. It almost felt like the dog and vet stuff was thrown in there to get the punny title. The writing, as far as I remember, was good and smooth. But I wasn’t entirely convinced by the actions and words of the characters. Your mileage may vary, of course; what you find realistic in a character might differ from what I would believe. The plot held my attention and I did enjoy the dysfunctional family stuff. Well, “enjoy,” right? But it’s always interesting to me to read someone else’s take on it. This book is going into the giveaway pile. It was an okay read, but not a fave. This entry was posted in Everything, Reading Books and tagged Barking Back, book review, books, dogs, fiction, women writers on 11/02/2017 by nissetje.